With the world of information technology rapidly developing every day, it can become a challenge for businesses to stay on top of advancements that can make or break their chances of success. Each day technological advances seem to become obsolete, leaving a majority of the world on the edge of their seat and somewhat in the dark. Unless you are trained and skilled with knowledge of technological practices, chances of prosperity can seem grim. The industry of IT comes with upsides as well as challenges that require professional and technologically conscious individuals who know how to manage technologically based services for companies that may otherwise be in big trouble. That is why hiring a managed service provider (MSP), especially in industrial cities such as Los Angeles, is always a smart decision. Managed Service providers can act as the middle-man for companies who require assistance with the technological side of their business, and let’s face it, that compiles an incredibly large portion of businesses. The competitive side of a business is now wrapped around information technology—getting professional support in this domain can bring your company to the competitive level. Hiring an MSP can create opportunities for a company that have been unforeseen in past decades of marketing and development of business practices. MSPs offer solutions to issues that look at longitudinal effects of business decisions that measure the overall productivity behind specific IT choices and make determinations based on what will most benefit the company in the long-run. 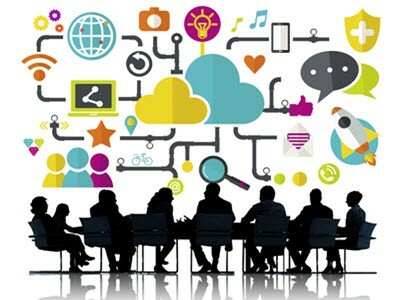 For instance, if a business is determining avenues of marketing and has not yet developed an adequate social media presence, MSPs will weigh the costs and benefits of investing in development of marketing tools aimed at social media presence and provide you with options and assistance to enhance your business. They then take on the responsibility of managing these domains for the company and generate reports that indicate the overall level of effectiveness of the marketing approach. It is easy to see why it would be necessary to hire professionals who are experts in marketing, technology, and assessing business productivity to create a successful approach in the ever-growing technological age. MSPs rely on the success of your business, and therefore can be trusted to remain dedicated to the productivity of your company. This makes them a reliable entity to ensure their effectiveness in enhancing the capacity of a client’s business. Besides coming up with successful marketing techniques, Managed Service Provider reduce the cost of businesses, especially those that are more expanded, as seen in cities that are highly populated such as Los Angeles. When the system crashes, it can cause huge setbacks and challenges for companies that otherwise have not a clue of how to get through the dilemma. In addition to smoothly transitioning through a setback with the lowest cost imaginable, it is MSPs occupation to assess the most accurate preventive measures tailored to a specific company’s technological base in order to keep such “crashes” from occurring and minimizing losses. With the growth of the technological industry, come new threats and challenges that compromise the security of businesses globally. By outsourcing, companies utilize MSPs to remain ahead of cyber attacks and stay on top of security by assessing areas of weakness for the company. MSPs remain vigilant of potential hazards for businesses and make it a mission to ensure quality and efficacy of preventive security measures. This also entails safeguarding company information and data that may otherwise create areas of vulnerability.